Note :- We are presenting you the biggest & finest crorepati quiz. Of course this game doesn't represent any official game or any official tv show/channel. This is our own questions and purely for the knowledge. Contact us if you find any copyright content in our game. 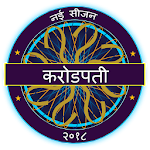 KBC 2018 In Hindi & English is India's Gk Quiz Game. If you are planning for competitive exams then this is the best place for you. IPS, IAS, MPSC, GPSC, UPSC exams, Bank exams preparations can be done from this game. Crorepati in English 2018 game will blow your mind. KBC 2018 game will be very useful for the people who are preparing for the competitive challenging exams like bank exams, PO, Cleark, IAS, IPS, UPSC preparation, SSC preparation and all kind of other exams preparations for HSC and CBSC board students. We have added questions from all the subjects like History, Geography, Physics, Biology, English, Social studies, Current affairs quiz, competitive exams quiz, government exam quiz. KBC Jio is also know as Jackpot, Gk in hindi, Best Gk App india, India Gk, New KBC, General Knowledge App. GK In Hindi - General Knowledge is a very famous game format now a days for all the MCQs. We are going to bring you all the kind of questions like: General knowledge questions, Current affairs quiz, English learning quiz, bollywood, cricket quiz, hollywood quiz and quiz from the subjects like indian history, geography, biology, physics, chemistry mathematics and reasoning, trivia. So basically this game is the best educational game. 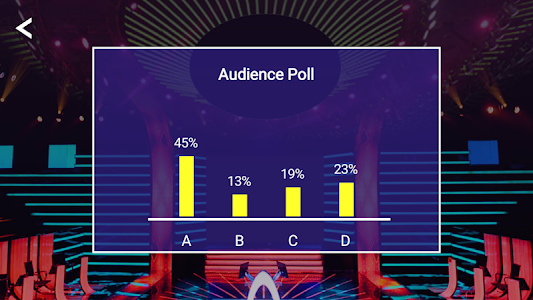 Similar to "Hindi GK Quiz Game - KBC In Hindi 2018"